Listen up, history lovers! We’ve counted down 30 iconic Austin sites you can’t miss while visiting the capital city. Delve into the backstory of our fascinating town, where you can explore everything from art and history museums to lush parks, still kickin’ honky-tonks and restaurants that have proudly served up meals to generations of locals. 1. Early Austin businessman and philanthropist Andrew Jackson Zilker gifted the citizens of Austin with Zilker Park, a 360-acre oasis in the heart of downtown that’s the site of festivals and free music at Zilker Hillside Theater, plus it’s home to Zilker Botanical Garden, Umlauf Sculpture Garden & Museum and Barton Springs Pool, a spring-fed swimming spot with grassy hills for sunbathing. 2. Opened in 1871, the Historic Scoot Inn is the oldest bar in central Texas, and continues to host live music of all genres. 3. 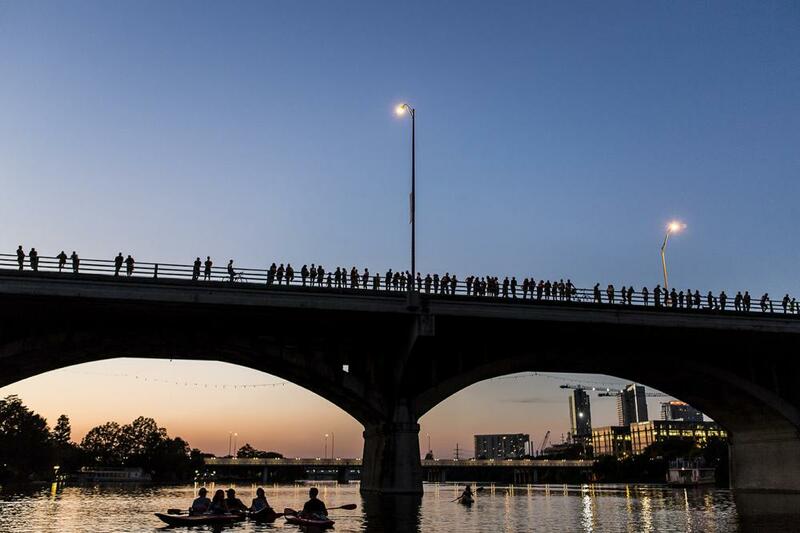 Created in 1960 when a dam was built on the Colorado River, today Lady Bird Lake is a favorite spot for kayakers, as well as runners and cyclists on the bordering Ann and Roy Butler Hike-and-Bike Trail. Courtesy of the Bullock Museum. 4. 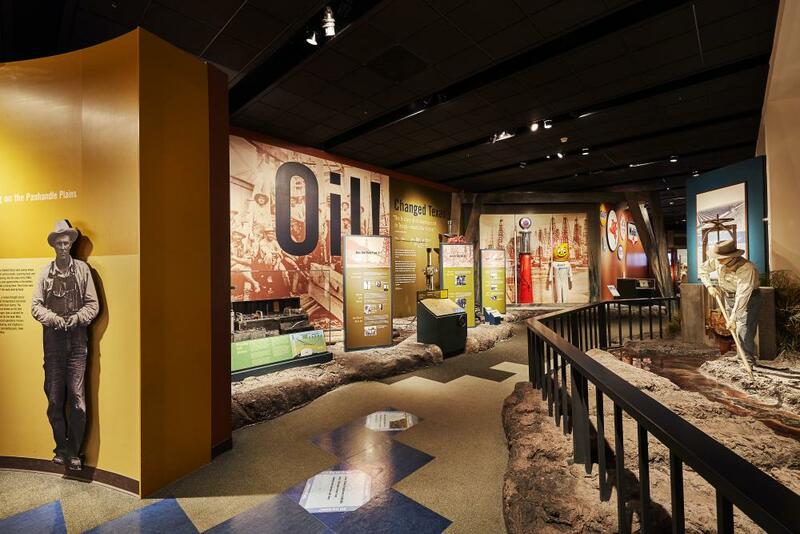 Get an insider’s look at the history and culture of Texas at the Bullock Museum, which features fun interactive exhibits and an IMAX Theatre. 5. Notable buildings along Congress Avenue, built as a ceremonial boulevard in 1839, include the Old Bakery & Emporium (now housing an art gallery), the ornate Walter Tips Building, the Scarbrough Building (Austin’s original office tower) and the Littlefield Building (one of Austin’s first skyscrapers). 6. Located across the street from the University of Texas since 1974, the storefront Hole in the Wall stage has hosted bands of all stripes. Mount Bonnell. Courtesy of Austin Parks and Recreation Department. 7. 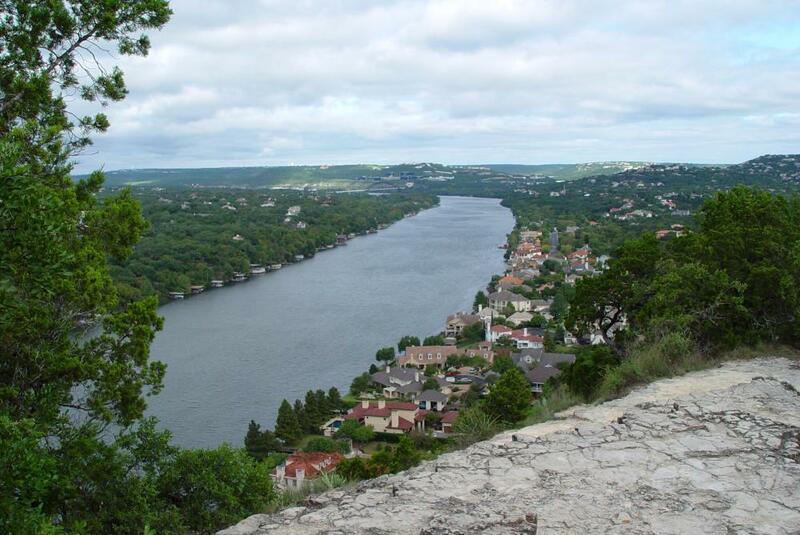 Enjoy panoramic vistas of the Austin area atop Mount Bonnell, a prominent landmark along Lake Austin and a popular tourist destination since the 1850s. 8. Threadgill’s restaurant began in 1933 as a filling station that soon turned into a music venue that attracted all types of music lovers, from country fans to rock-loving hippies. 9. Staking its claim as Austin’s oldest drinking establishment, Scholz Garten was founded in 1866 and continues to be the place to celebrate University of Texas football wins (a tradition here since 1893). The Driskill Bar. Courtesy of the Driskill Hotel. 10. 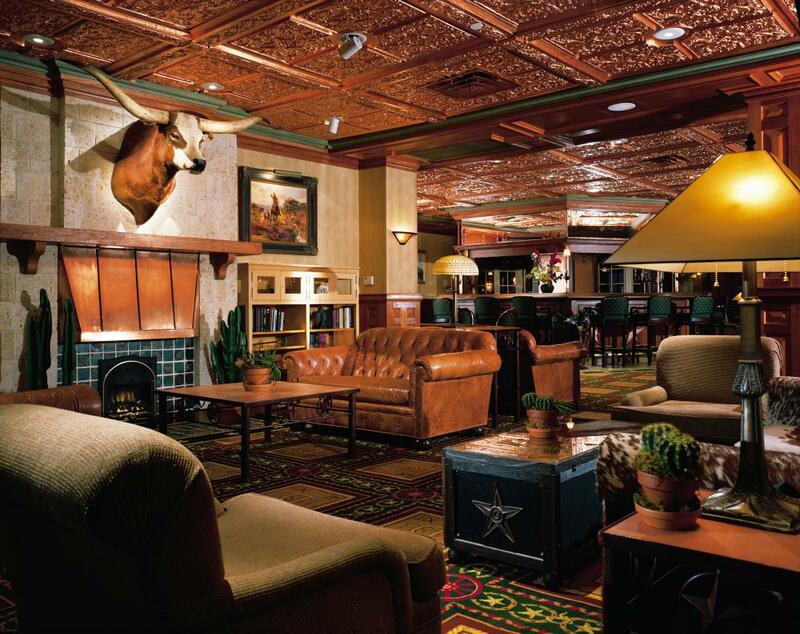 The recently restored Driskill hotel was built in 1886 by cattle baron Jesse Driskill as a frontier showplace. 11. See the final resting place of many Texas notables (including politicians and high-profile citizens) at the Texas State Cemetery, founded in 1851. 12. Within the East Sixth Street National Register Historic District are the Brush Square Museums: the Susanna Dickinson Museum (home of the only Anglo adult survivor of the Battle of the Alamo), the O. Henry Museum (former residence of the famed short story writer) and the Austin Fire Museum (housed in the still active Fire Station #1, built in 1939). 13. 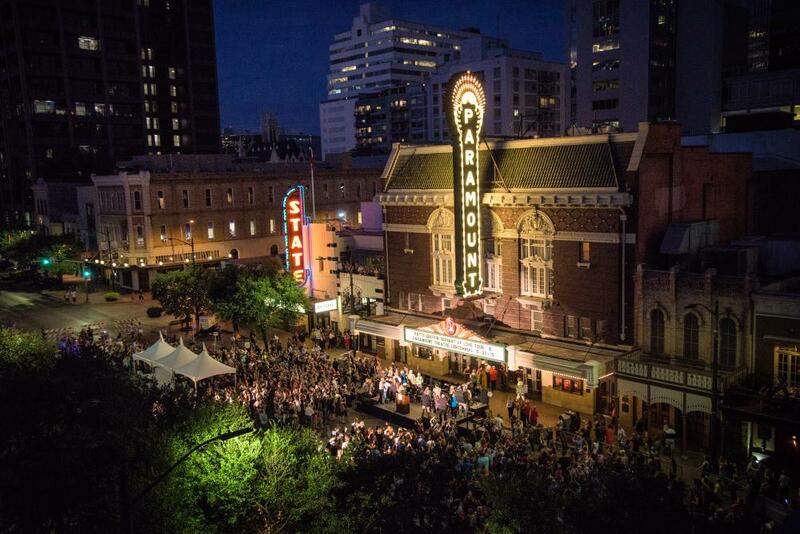 The Paramount Theatre is a century-old performance venue and movie theater located in the heart of downtown Austin. 14. The Texas Capitol Visitors Center is housed in the renovated 1857 General Land Office Building that was originally used to store state land records. The granite Texas State Capitol was built in the late 1800s. 15. Nestled in the shady hamlet of Hyde Park is the Elisabet Ney Museum, housed in what was once the German-born sculptress’ home and studio. 16. Originally built in 1910, today the Ann W. Richards Congress Avenue Bridge is known as the home of a colony of 1.5 million Mexican free-tailed bats that spectacularly fly out into the night sky every evening from spring through fall. 17. Experience the everyday lives of some of Austin’s earliest residents at the antebellum Neill-Cochran House Museum, built in 1855. 18. Built in 1909, Avenue B Grocery is Austin&apos;s oldest continuously-operated grocery store. Try a bowl of Texas-style chili or the King Combo and Queen B (vegetarian option), two of the best known options. And don&apos;t miss the southern-style homemade pimento cheese on white if you&apos;re feeling nostalgic. The Contemporary Austin - Betty and Edward Marcus Sculpture Park at Laguna Gloria. Credit Brian Fitzsimmons. 19. The Mediterranean-style Contemporary Austin-Laguna Gloria, nestled on the Lake Austin waterfront, is a former private estate that’s now a branch of The Contemporary Austin art museum. 20. The University of Texas at Austin is home to an impressive collection of museums, including the Blanton Museum of Art (with works by Mark Rothko and Thomas Hart Benton), the Harry Ransom Center (housing cultural archives that include the Watergate papers) and the LBJ Presidential Library (featuring inspiring exhibits on President Lyndon Baines Johnson and his beloved wife, Lady Bird Johnson). 21. Founded in 1955 as a swank supper club, the retro Continental Club presents nightly live rockabilly, country, rock and swing music. 22. 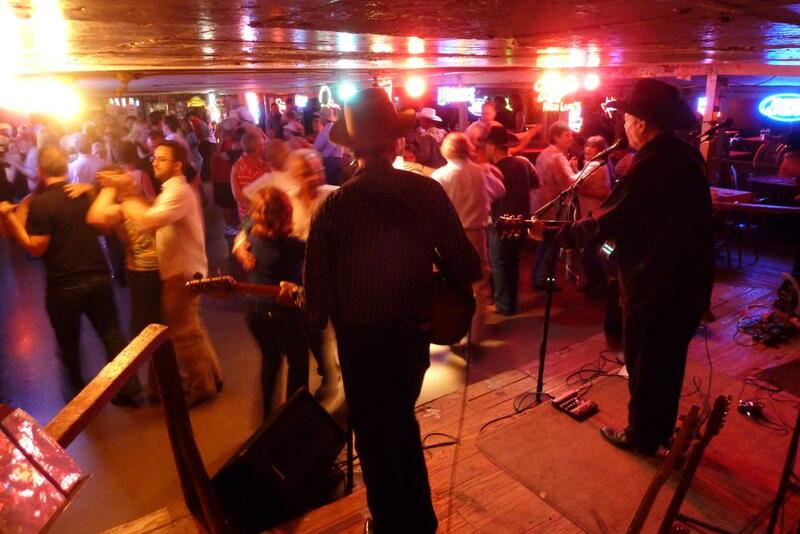 Do some two-stepping at Broken Spoke, an old-fashioned honky-tonk that’s been known as one of the best dancehalls in Texas since opening in 1964. 23. Celebrate African-American heritage at the George Washington Carver Museum, Cultural and Genealogy Center through exhibits, program and theatrical productions. 24. The Austin History Center, located in the former Central Library building, preserves and presents historic materials (including photos and manuscripts) that tell the unique story of Austin. Harold McMillan at Victory Grill. Credit Spencer Ponce. 25. 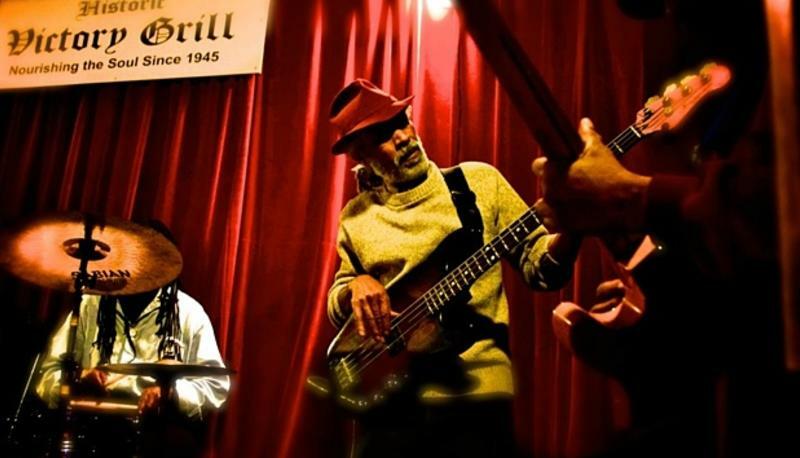 Open since the 1940s, Victory Grill offers live music, along with bowls of its famous chili. 26. 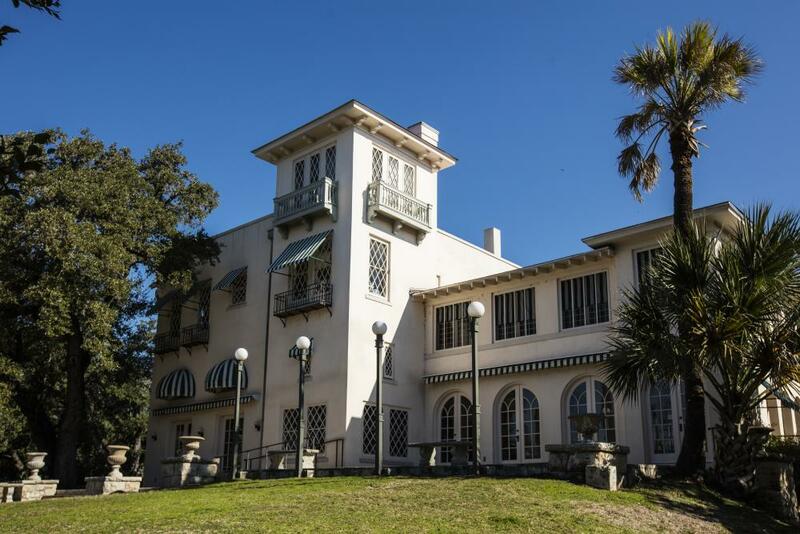 The elegant Texas Governor’s Mansion was built in 1927 by the state’s first female governess, Miriam “Ma” Ferguson, and offers free guided tours. 27. Stubb’s Bar-B-Q is a music institution that serves lip-smacking barbecue alongside music from some of the best live bands around. Mayfield Park & Preserve. Credit Tricia Zeigler. 28. 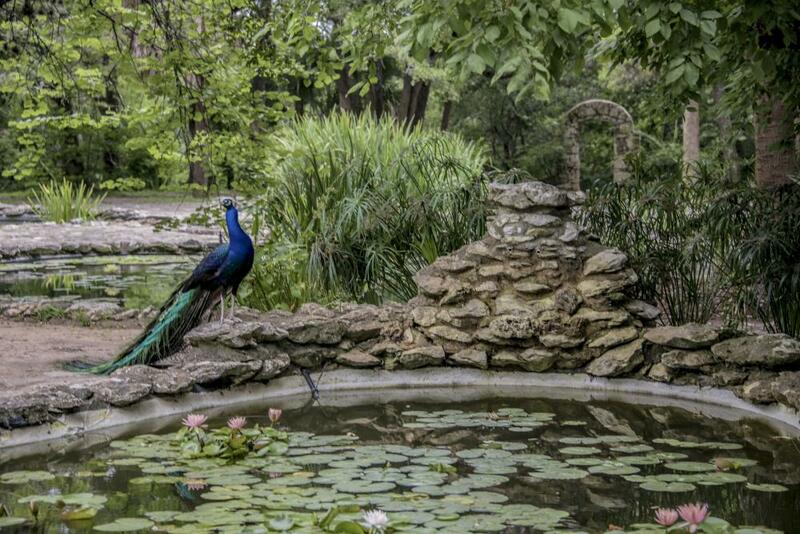 Originally an early 1900s summer retreat for the family of prominent Austin politician Allison Mayfield, today Mayfield Park is a beautiful public green space known for its vibrant strutting peacocks. 29. Since 1946, the roadside Sandy’s Hamburgers has been a favorite spot for swimmers and sunbathers at nearby Barton Springs Pool. 30. 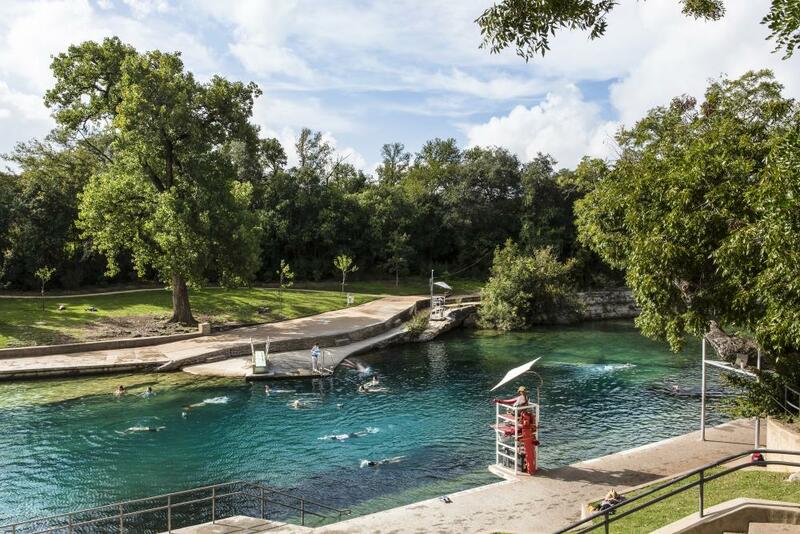 The huge Deep Eddy Pool is the state’s oldest pool, offering a traditional public pool experience in the center of Austin complete with waterside movies in the summer. Looking for more information on Austin&apos;s history? Explore our Guide to Historic Austin or take a downtown walking tour with the Austin Visitor Center.